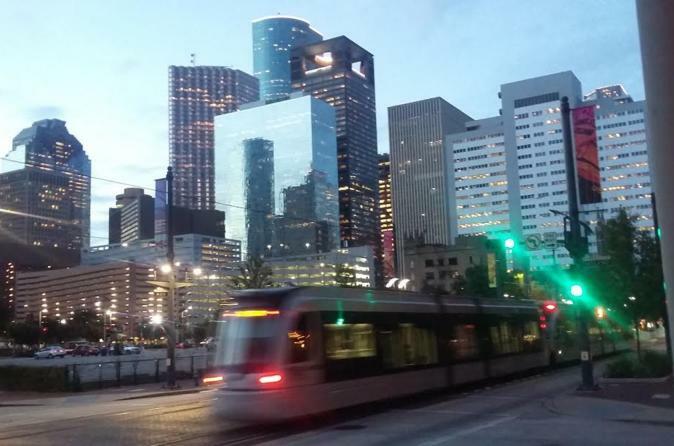 On this 4.5 hour tour of no more than 6 guest a Certified Tourism Ambassador who's guided hundreds of Houston tours from comfort of climate controlled vehicles you'll get the in depth version of history, landmarks, attractions and sightseeing while enjoying complimentary bottled water and snacks. As you journey through 4th largest city in USA you'll see Minute Maid Park, Market Square, Toyota Center, Midtown, City Hall, George Bush Monument, elaborate River Oaks area, NRG Stadium, Houston Astrodome, Texas Medical Center, Allen's Landing, Buffalo Bayou and more while hearing their history. At Hermann Park you'll take a complimentary 20-minute narrated train ride through the park for an up-close look at all it has to offer from friendly wildlife and interesting people to art and natural beauty on the duck filled lake. A minimum of (2) adult bookings is required for this tour. (1) free souvenir for every 2 bookings. Your tour starts with complimentary pickup from your downtown Houston hotel, residence or business before an in depth tour of Houston landmarks and attractions such as Discovery Green Park, George R. Brown Convention Center, the Toyota Center (Houston Rockets), Minute Maid Park, BBVA Compass Stadium, Harris County Justice Center, Market Square, Theater District and more before a venture to Eleanor Tinsley Park on Houston's famous Buffalo Bayou. Hear how Houston was founded on the banks of Buffalo Bayou and see River Oaks mansions ranging from 2-25 million in value as well as a visit to Sam Houston Park to see homes of noteworthy contributors to Houston's development. You'll also see "Old Place" built in 1823 and visit the museum's General Store (closed SUNDAY & MONDAY). You'll see Midtown, NRG Stadium & Astrodome before heading to the Museum District and Hermann Park where you'll take a 20-minute narrated train ride through the park. See other park attractions like Miller Outdoor Theater, McGovern Centennial Garden, Japanese Garden, Duck pond and more before departing.